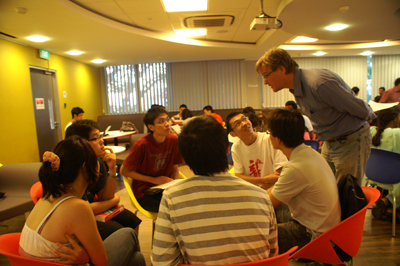 The Academy is very keen to have a wider participation from the NUS community in its activities and projects. 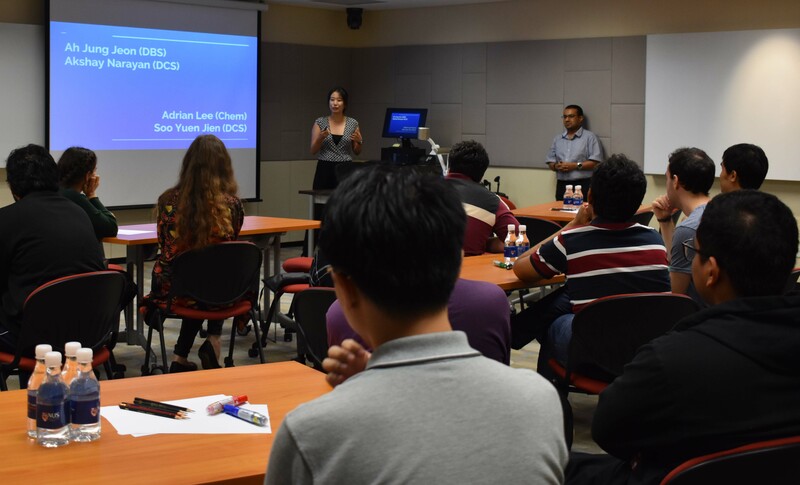 The TLC session, facilitated by Academy Fellows Dr Soo Yuen Jien and Dr Adrian Lee, invited post-graduate students who had undertaken Teaching Assistant roles in their departments to voice out about their experiences. Two experienced TAs from SoC and Chemistry led the discussion on teaching deployment, the support available and sentiment issues. Work is currently underway to consolidate views and observations into a set of recommendations for higher management. The Academy thanks participants for their enthusiasm and frank feedback. Students engaged in lively and candid discussions during the session. What do NUS students think of the fact that their work is graded? Is this a good thing? What are some of the drawbacks? Should first-year modules be graded S/U, or pass/no record? How to make sure the students stay interested in the learning if the module is graded S/U? He then invited A/Prof Laksh to make an announcement on the 6th International Conference on Teaching and Learning in Higher Education 2011 (TLHE 2011) by CDTL. Prof Laksh invited the students to participate in the student panel category for the upcoming conference. The student panels are intended to serve as a platform for student groups to share and discuss their experiences in higher education and to help other participants to better understand the challenges faced by Gen Y learners and their learning needs. 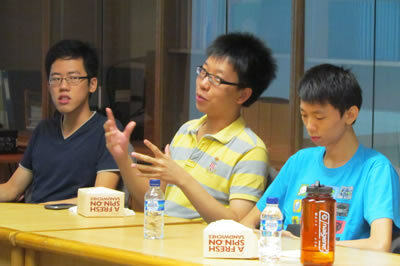 He added that students are encouraged to form their own groups, propose a topic, and submit an abstract to the committee. There will be facilitators who will help them to prepare for their sessions. The students agreed that the first year is very important and should pave the way for continued learning, by providing the basic knowledge that the students need later on. They also acknowledged that the first year presents a range of difficulties and challenges such as losing a scholarship, choosing a wrong subject, adapting to a new system, managing time etc. They agreed that grading is important because it motivates, empowers and helps student to learn more. The question is not whether grading is good or not good; but the more important question is how to make it work. The students did not quite agree with the bell curve system. They felt that they were not graded on what they know but how they perform based on others in their batch. At the end of the day they agreed that grades do matter, and that there is a need to find a reasonable balance between two competing issues – learning and getting good grades. 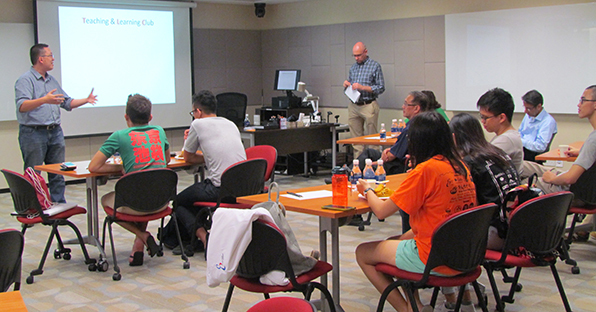 Prof Chng Huang Hoon encouraged students who have any issues to approach either their own departments/faculties or the CDTL and the Teaching Academy. 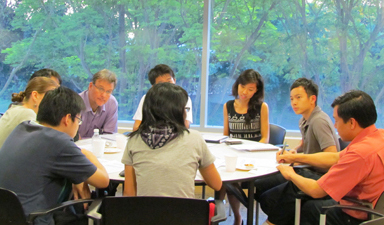 The TLC committee met up with students from various faculties to discuss issues pertaining to Student Feedback. The students then broke into “buzz groups” to discuss on the topic. A/P Sow Chorng Haur and Dr Johan Geertsema facilitated the discussion.